Sloopin - A South Loop Blog: Something Coming to Empty Lot at 624 S. Wabash? 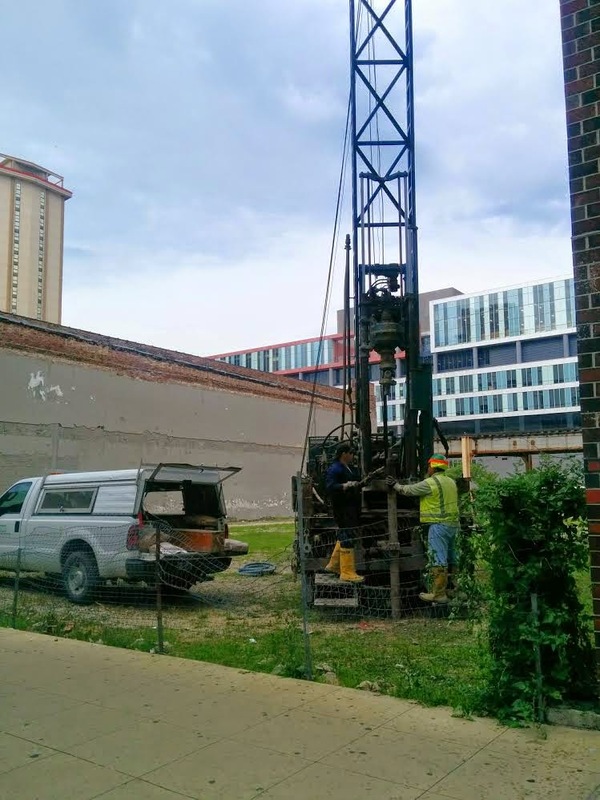 I'm sure it's happened before but just walked by 624 s wabash and noticed the for sale sign on the lot was still up but there was a soil boring crew on site. This is another void on the "wabash arts corridor" that would welcome some infill. While it doesn't mean anything for sure, it usually is a sign that someone is interested in doing something on the land. For instance a similar exercise happened at the land at 1000 S. Clark and now a gigantic rental building is coming. Similarly, soil samples were taken at 609 S. State earlier this year, but nothing has materialized there yet. With that said, does anyone have the scoop on this lot? Seems ripe for something on a smaller scale? Maybe a 4 or 5 story retail/residential building?